I don't agree with the previous 4 star ratings. If a book evokes so much emotions, it deserves 5 stars. This book has it! The characters are captivating, the story is dark and disturbing. Another excellent book by Lehane. I read the book,it as wonderful,I had to make my self stop reading because I had house work to do. To think that one of your friends could actually do that to one of your kids. Just Awful!!! I'll agree it was powerful & disturbing as well,the movie was good,but to me the book was better. Very powerful story, disturbing at times. I read it before the movie came out, and the movie is very good as well. 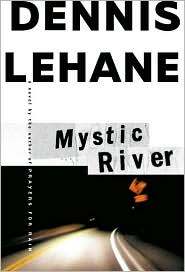 Lehane's books can be dark, but the characters are incredibly real.